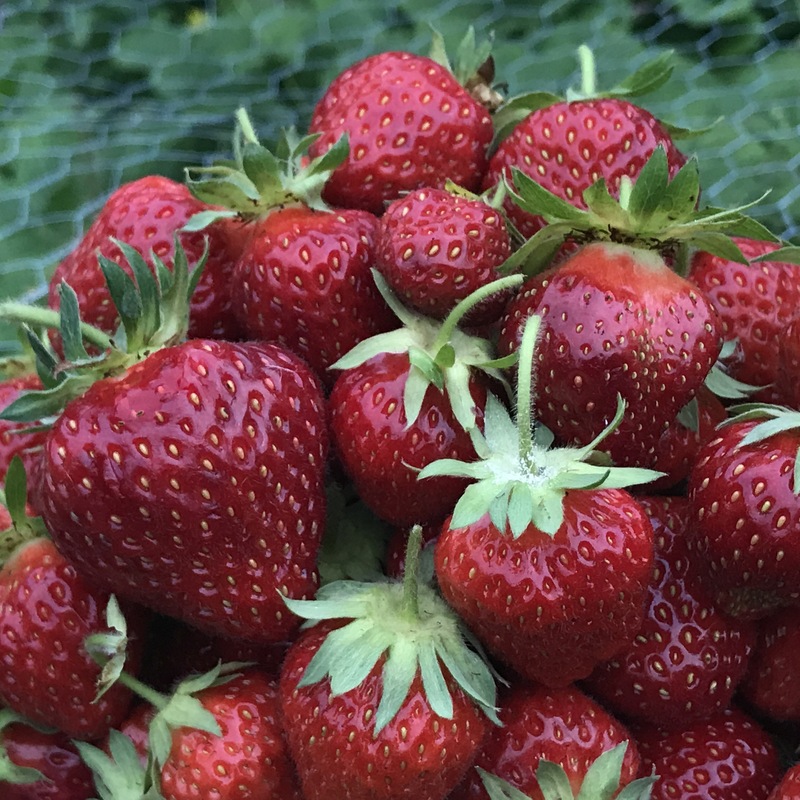 I’ve put a lot of effort into producing a good strawberry crop this year and my hard work is paying off! 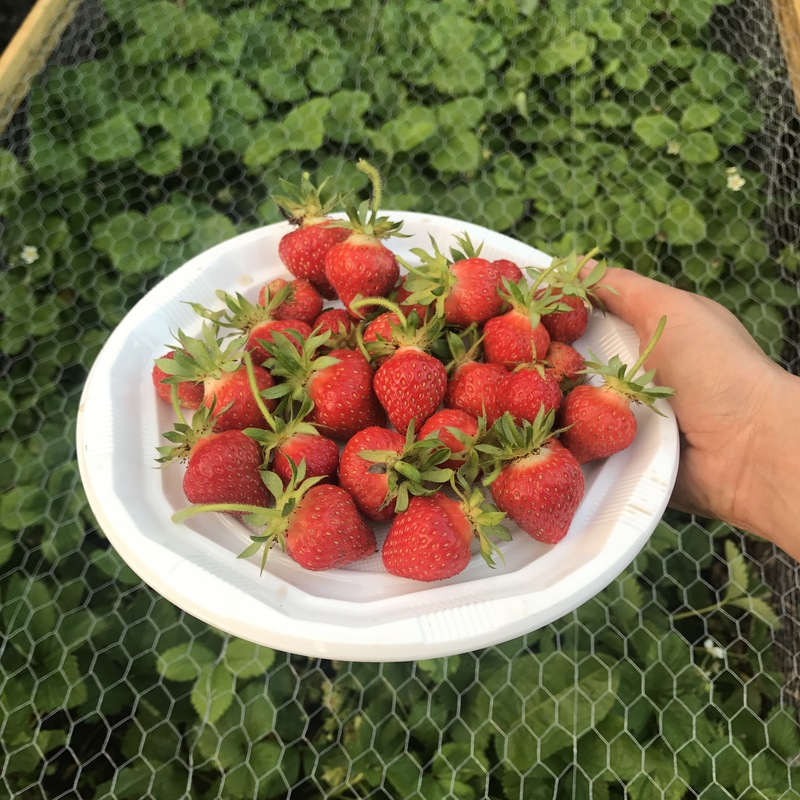 Early in the season I mulched the strawberry patch with manure, removed all the nettles that stung me last year, I kept them well watered throughout the dry spell and even made a strawberry cage to protect them from the bird. With these improvements along with the warm, dry weather (bye bye slugs! 👋🏻) I’ve been harvesting a good punnet or more every day or so! How do you like to eat your strawberries? 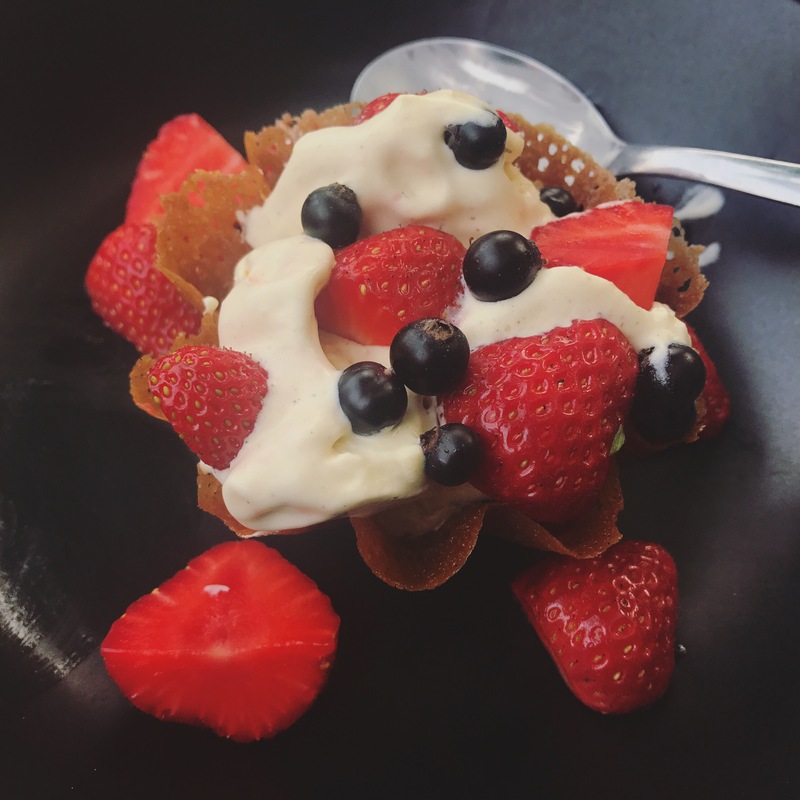 I’m enjoying lots of brandy snap baskets with ice cream topped with berries! 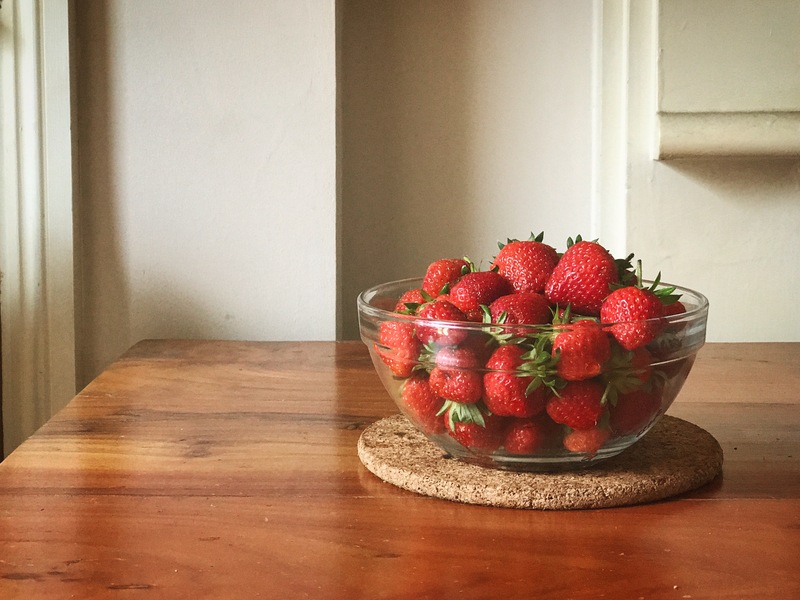 I also love to make rhubarb and strawberry crumble which I only discovered last year as I didn’t have enough rhubarb! You should try it, it’s devine! ‹ PreviousI built a wall. They are beautiful and delicious! I like the photos.